It’s been a little over two years now, but our Spot and Dot pages are making a comeback! This time though, we’re introducing sight words. For our own sight word learning, I personally prefer the Fry list of high-frequency words as I feel like it is more up to date and much more comprehensive than the Dolch list. Of course, these pages are no different. They’ll make practicing those sight words a whole lot more fun and get your little ones excited about learning to read. This printable set is just like the ones that we created for the letters of the alphabet. The only difference is that now, we’re using them to practice those high-frequency words. 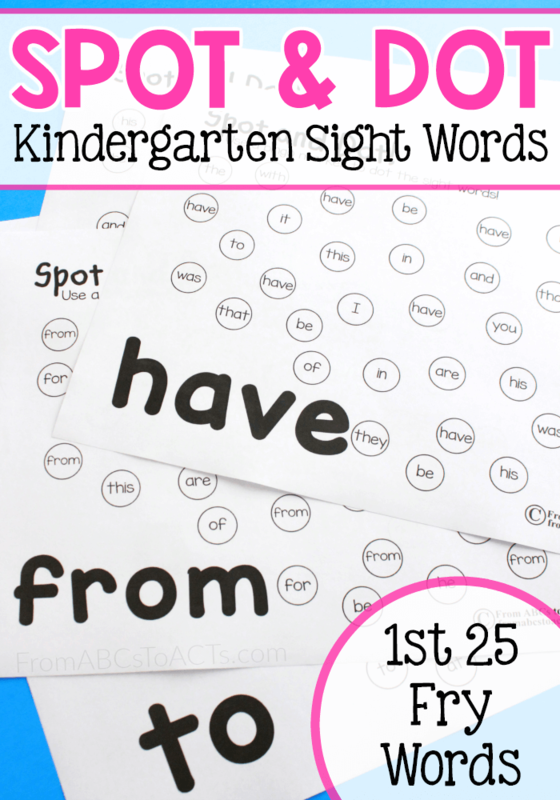 Included in this set, you’ll find 25 individual Spot and Dot pages that cover the first 25 sight words in the 1st Fry hundred. 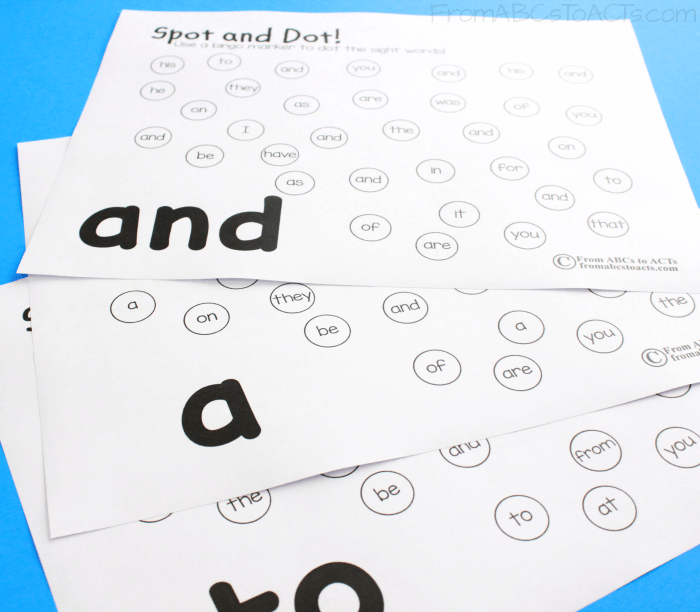 Now, we love using these with our Do-A-Dot markers, but there are so many other ways that you can use them in your home or classroom! Of course, there are tons of other ways that you could incorporate these into your day, just use your imagination! They would make fantastic literacy centers and could easily be changed out so that you’re only using a few at a time. Just pull out the words that you are currently working on and save the rest for later!